This entry was posted in Gharavi Nooredin/نورالدین غروی on July 14, 2015 by kanooniranian. This entry was posted in Gharavi Nooredin/نورالدین غروی and tagged ویدئوی سخنرانی مهندس نورالدین غروی on July 14, 2015 by kanooniranian. 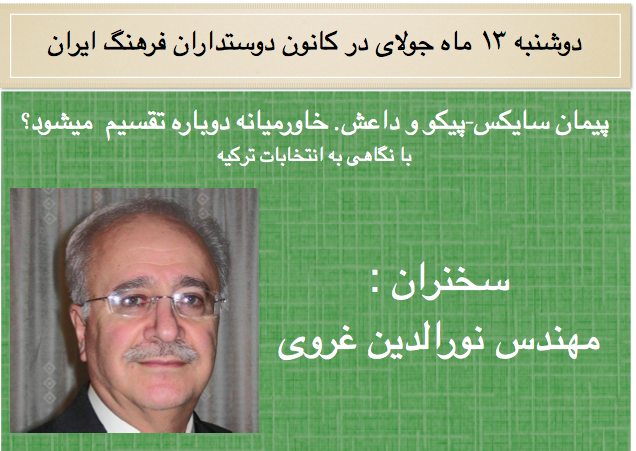 This entry was posted in Gharavi Nooredin/نورالدین غروی and tagged سخنرانی نورالدین غروی on July 7, 2015 by kanooniranian.